With the approval of the FY2016 Budget in December 2015, we learned that the High Divide Collaborative Landscape will receive nearly $16 million in FY 2016 for 18 projects that conserve some 8,250 acres through a combination of conservation easements and fee title acquisition. 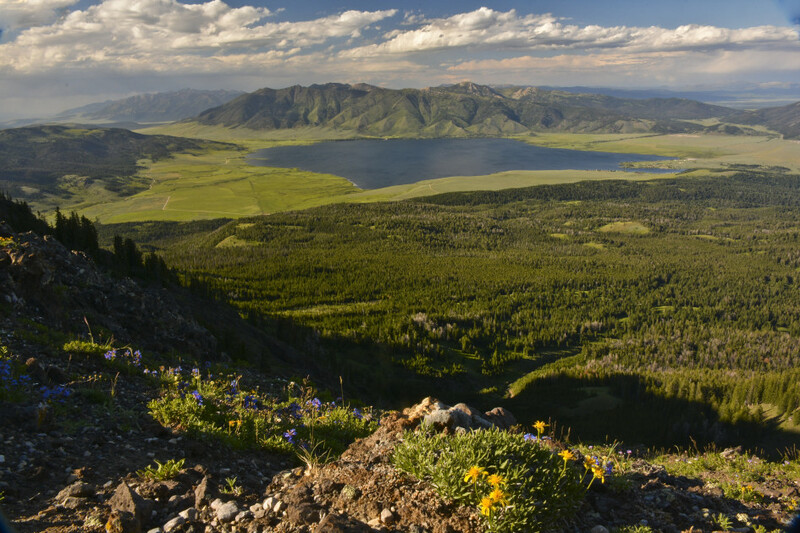 Projects are located throughout the High Divide LWCF Project Area, including the Beaverhead/DeerLodge, Caribou/Targhee, Frank Church, Sawtooth, Upper Salmon, Sands/Teton River, Thousand Springs, Craters/Pioneers, Centennial Valley, Camas, and Big Hole. In August 2015, the High Divide Collaborative Landscape submitted a proposal for FY 2017 for $32.6 million to conserve 25,000 acres across the project area. The President’s proposed budget that was released Feb.9, 2016, calls for full funding for LWCF and ranks High Divide project very high. With those rankings, it is likely the landscape will receive some $14 million if Congress funds LWCF at the same level it did for 2016. 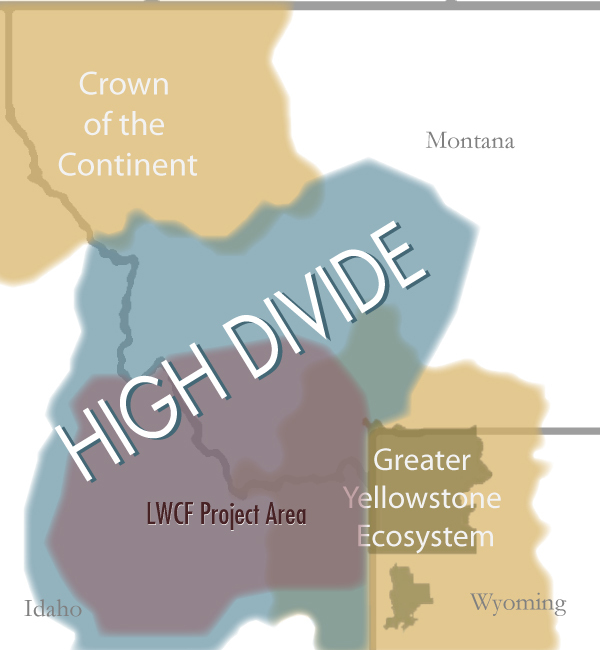 This map depicts the portion of the High Divide that is the project area for the LWCF efforts (in purple).